Make one of your Chinese Take-Out Favorites at home! 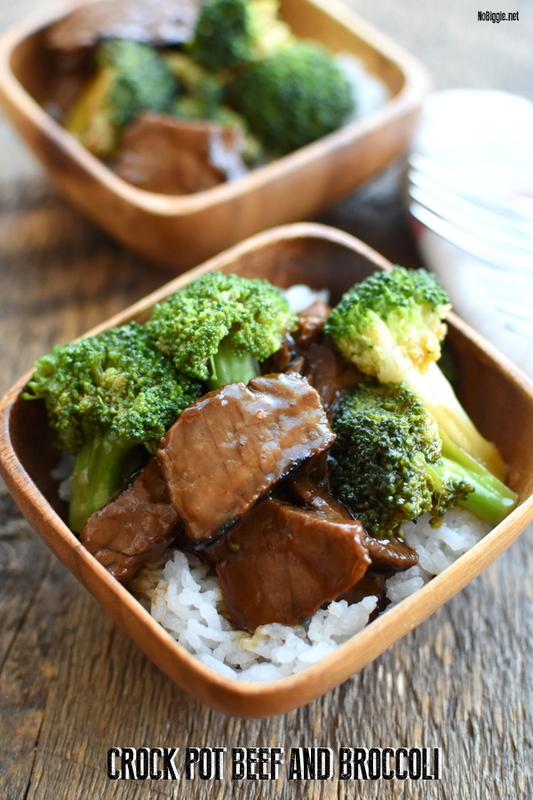 This Slow Cooker Beef and Broccoli is so full of flavor tender and delicious. There is a peace of mind that comes from crock pot or slow cooker recipes, because you always know what you are having for dinner hours before dinner time. It takes the panic and rush out of that bewitching hour when everyone is home and hungry. 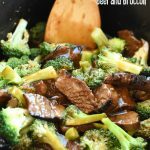 This crock pot beef and broccoli recipe could not be more easy, or more delicious! The slow cooker does all the work and the beef is tender and so flavorful. This recipe is also a great way to use up leftover grilled steak. The slow cooker cook time changes using left over steak, but it’s still so tender and flavorful. 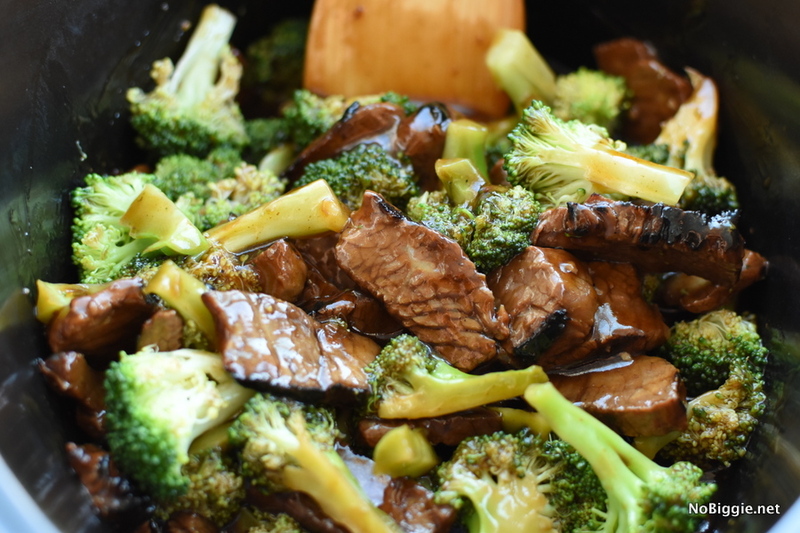 Should you use frozen or fresh broccoli for this recipe? Fresh! …Always! There is something that happens to broccoli when it’s frozen, the texture changes, and it’s not good. 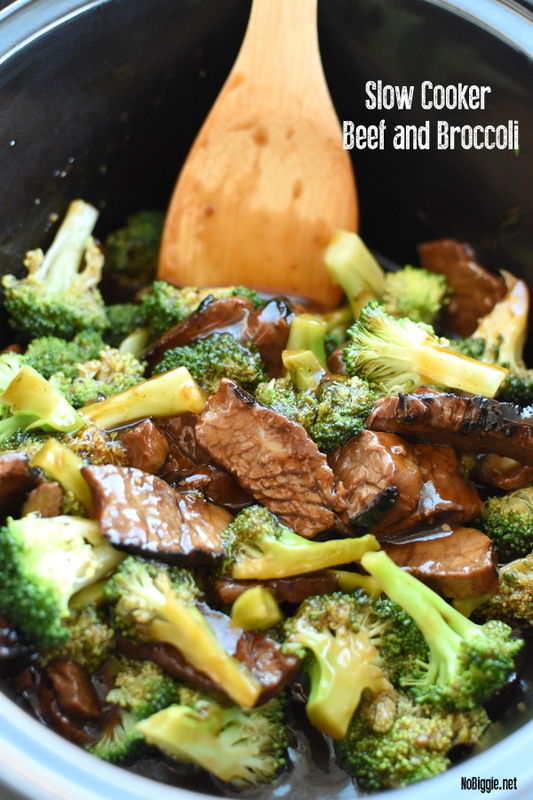 Because broccoli is so easy to find in the produce section year round, and it’s not that hard to chop up a few heads of fresh broccoli into bite size florets, I always choose fresh over frozen when it comes to broccoli. You might feel like buying frozen broccoli florets is a short cut, but the end result is so much better when you opt for fresh broccoli. 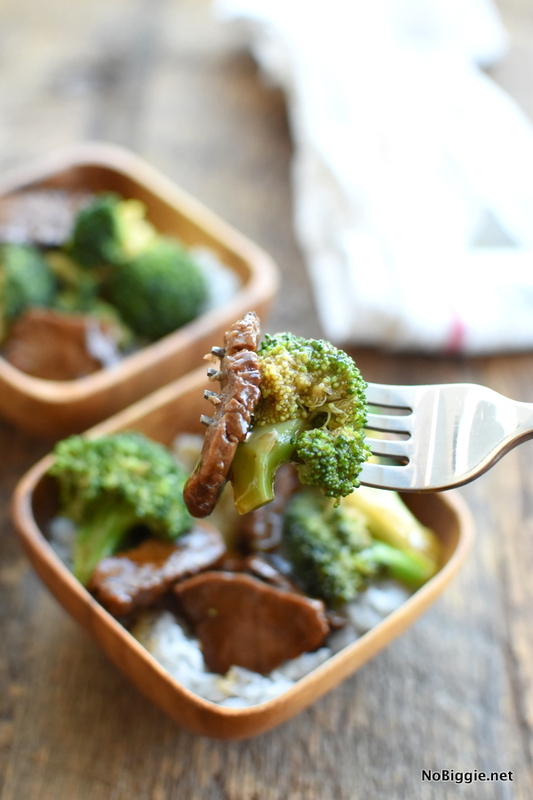 Let your slow cooker do all the work for this delicious Beef and Broccoli recipe. 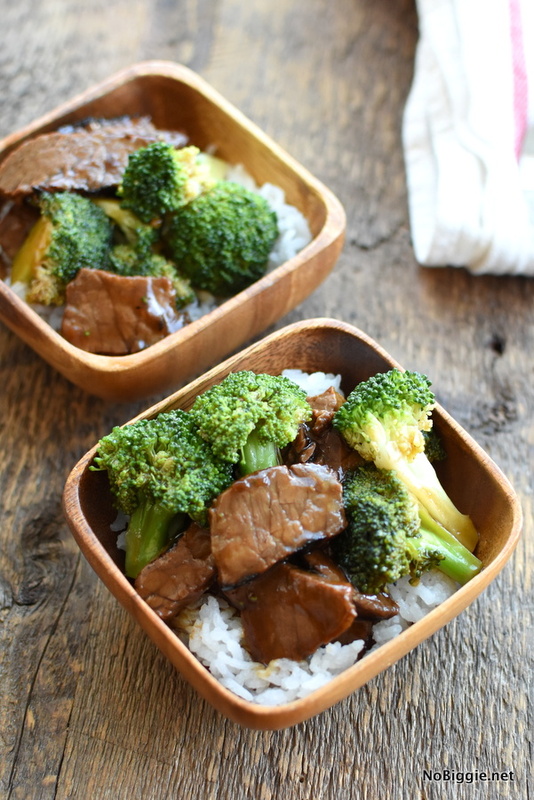 One of our Chinese Food Take Out favorites to make at home. Inside the warming pot of your crockpot whisk together the 1 cup of water, beef flavor, soy sauce, brown sugar, sesame oil and minced garlic. Add the slices of beef into the liquid and toss them around to coat them in the sauce. Cover with a lid and cook on low for 5 hours. When the beef is ready, whisk together the cornstarch with the 1/4 cup water in a small bowl. Pour this mixture into the crock pot and gently stir to combine it with the sauce. Add the bitesize broccoli florets to the top. Cover with the lid and continue to cook for 30 minutes for the broccoli to steam and the sauce will thicken. *This recipe is also a great way to use up leftover cooked steak from the night before. It’s so delicious! Now I want another crock pot. I think it would be fun to serve up a bunch of Chinese Food Favorites and have a few crock pots out keeping them all warm. What’s your favorite Chinese Food Take out thing to order?